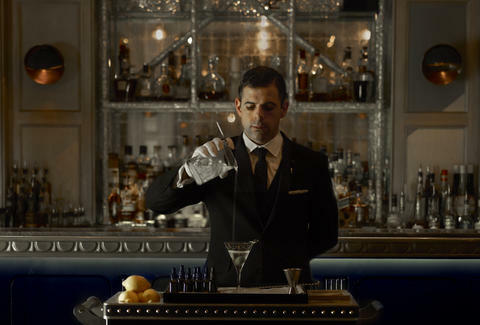 Agostino Perrone: The Connaught is truly a magical experience for guests, as well as those who work here. Magic sometimes cannot be explained; however, the location and magnificent design does help a lot. That will always be our focus. We are lucky that everyone working here has the same passion for hospitality, and that really makes the difference. Perrone: This has been a year filled with proud moments. We were awarded World’s Best Cocktail Bar and Best International Hotel Bar by Tales of the Cocktail in New Orleans. I’ve also recently been awarded European Mixologist of the Year and The Connaught was awarded European Bar of the Year at the Mixology Bar Awards 2017 in Berlin. What I feel most proud of is when we have guests from around the world returning to see us. Perrone: London truly has everything to offer when it comes to the cocktail scene, and cocktail bars are taking time to master their vision to ensure they stand out and offer the best experience. It is not just about drinking a cocktail anymore; it’s about an experience. So all the touchpoints of service standards, product, space, and entertainment have to be ticked. Perrone: I truly believe that the quality of the ingredients is incredibly important, and finding innovative ways to heighten the guest experience is equally important. For example, at The Connaught, we use dry ice for all our drinks. This stops the cocktails from diluting, allowing the taste of the drink and the overall experience to last longer. Is there anything you can share for future plans? Perrone: We are very excited to be working on our new menu, which we will be launching early next year. It has taken some time for us to find innovative ways to continue to delight our guests. I’ve been fortunate to travel the world, discovering new flavours and ingredients to heighten the guests’ experience.